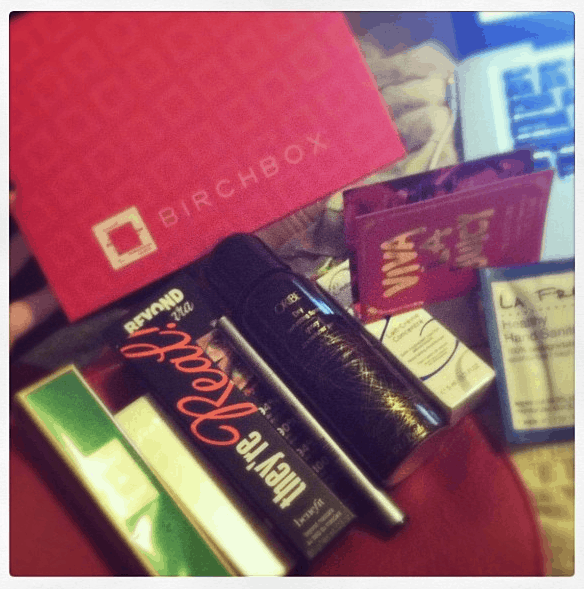 I mentioned a few weeks ago that Bill bought me a Birchbox subscription for Valentine’s Day. Well, yesterday the first box arrived and it had some really great things in there!! I posted this picture on my Instagram account and a few people said their box was different. I didn’t realize that not everyone gets the same shipment. Either way, I’m all over that mascara – going to try it out this morning. Cannot wait! And if you know me – you know I’m a sucker for dry shampoo. So, that was another huge score. What other box subscriptions have you given to people? I bought “Love with Food” for 3 people this Christmas. Check it out! !